This tutorial might be coming a bit late but I think its better late than never considering the fact that some people are still having issues updating their infinix Hot Note. Two of the main reasons why a lot of Ihot Note users are having issues updating their hot note is either because their device is rooted or they have a custom recovery (like CWM) installed on their device. I will be sharing with you two things that must be done before you try to install the OTA Update. ==> Your phone must be unrooted: Most bricked cases while updating is caused mainly by not un rooting before trying to update. it is advisable you un root your device before you proceed with the updating process. If you don’t know how to un root your device, just drop your question in the comment box and I will try to help you out. 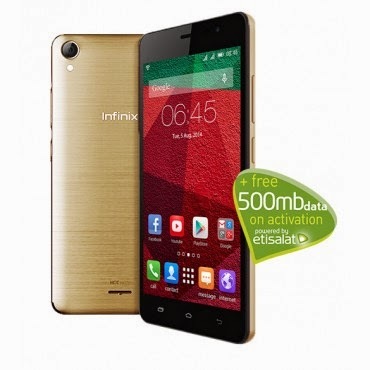 ==> You Must Have Your Stock Recovery: Many people are unable to update their Infinix Hot Note because they have a custom recovery installed on their device. Without the stock recovery you cant install the OTA update. * Download the I Hot Note Stock recovery here’'. *To install it, click here. After doing those two things mentioned above, you can go ahead and install your update. ==> Open your menu and select system update. ==> Just wait while your phone checks for available Updates. ==> click on the download button to download thee update and follow the instructions. Hello...I just bought this hot note from Konga and I tried to switch on the phone but it has refused to come up. I charged it and same thing happened...the phone isn't yet on...do you think its a technical fault?